This issue contains two themes: U.S. security interests and challenges in Africa; and Cook County, Illinois security issues. Africa is undergoing a period of both economic and political transition, and the consequences of uprising, insurgency, and terrorism, partially relating to the aftershocks of the Arab Spring. For example, in North Africa, Libya, Algeria, Tunisia, and Morocco have been on the front lines of rapid turnover and change emanating from the Arab Spring. In other countries, such as Mali and Somalia, Islamic insurgency has sparked regional and international military responses to stem this security threat. AFRICOM: A New National Security Approach for the 21st Century? Turmoil in the Middle East: How Has Morocco Fared? The recent Sandy Hook school massacre has ignited a national debate regarding gun regulation and gun possession. Violence and gun-related violence should be central to measured discussion leading to a national debate. Facts and statistics are essential as a point of departure for informed discussion. The National Strategy Forum (NSF) takes no position on the forthcoming national gun regulation / gun possession debate because we are not experts in this field. The NSF’s competency is national security strategy, wherein there is a process that begins with setting a strategic objective: “The Whole of City Approach to Chicago’s Civic Health.” The focus is on violence and gun-related violence. The essay “Violence and Guns in Chicago: Understanding the Background” was prepared for a public program held at the Union League Club of Chicago on February 14, 2013. The intent of the essay is to present unbiased violence and gun statistics in order to inform public discussion about the underlying root causes of violence in Chicago neighborhoods. The election is over. President Obama’s administration will be in charge of national security policy for the next four years. The product of this tenure will have long lasting consequences for American security, for good or for ill. Defining National Security Strategy: The components of national security strategy, likely and unforeseen global events and their consequences. National Security Principles from 2010 to 2012 and Beyond: Past, present, and future—the need to adapt to changed circumstances. The Politics of National Security in the 113th Congress: How domestic politics affects national security strategy and policy. Averting the Fiscal Cliff: Necessary But Not Sufficient: Economics as the dominant component of national security and implications of the fiscal cliff and beyond. The Threat Array: Knowns and Unknowns: Given that there are many unknown emerging threats, it may be prudent to develop national resilience rather than to counter every known threat to U.S. national security. Military Policy in a Time of Fiscal Retrenchment: The U.S. military is in a state of flux as a result of the Afghan and Iraq wars. U.S. military resources and doctrine must adapt to asymmetry, terrorism, insurgency, and a constrained defense budget. Homeland Security: Protecting the Critical Infrastructure: As a result of Hurricane Sandy, protection of the national critical infrastructure is gaining visibility. U.S. Foreign Policy: Challenges, Opportunities, and Organizing Principles: Traditional foreign policy is adapting to changed circumstance, and will require reevaluating methodology to meet emerging international challenges. Pivot to Asia: Calculus and Consequences: The American destiny may lie more with countries in the Asia-Pacific than with traditional Western European orientation. What are the consequences and how can this shift be managed? Flashpoint Mediterranean: Middle Eastern conflicts are continuing and are unresolved. There is a Mediterranean connection that should be explored, resulting in potential amelioration of the conflict. The realistic goal is political stability rather than peace. The National Security Benefit of Good Neighbors – Canada And Mexico: America’s backyard is composed of Canada, Mexico, and Latin America. These states are expanding their economic and political stability. Although the U.S. has not been an exceptionally good neighbor, there is opportunity for the U.S. to initiate actions that could result in an enhanced relationship. Proactive Asymmetry: To counter ongoing terrorist threats, the U.S. needs to “think small”—an asymmetric, proactive offensive doctrine. Management of National Security: Strategy and national security require fundamental management change within government agencies. The National Strategy Forum mission is to assist our members to become more informed about U.S. national security issues through our lecture series, conferences, and publications. It is our hope that this new issue of the National Strategy Forum Review proves useful to you. National Security Forecast: The Next Four Years can be read online at the link here. Tonight’s presidential debate provides the American public an opportunity to evaluate President Obama’s foreign policy over the past four years, and to learn about Candidate Mitt Romney’s approach to foreign policy for the next four years. There are a multitude of international issues that could be examined during the debate. Rather than attempting to tease out detailed answers regarding specific topics, Bob Schieffer, the debate moderator, may seek to establish the respective candidates’ foreign policy principles. To do so, Mr. Schieffer will need to ask questions that probe beneath a candidate’s rote answers, assess their foreign policy credentials, and draw out more fundamental strategic approaches to these issues. American national security strategy starts by recognizing that our strength and influence abroad begins with steps that we take at home. America must also build and integrate the capabilities that can advance our interests, and the interests we share with other countries and peoples. The burdens of a young century cannot fall on American shoulders alone – indeed, our adversaries would like to see America sap its strength by overextending its power. America will be steadfast in strengthening those old alliances that have served us so well, while modernizing them to meet the challenges of a new century. America will advocate for and advance the basic rights upon which it was built, and which peoples of every race and region have made their own. As a nation made up of people from every race, region, faith, and culture, America will persist in promoting peace among different peoples and believes that democracy and individual empowerment need not come at the expense of cherished identities. The document affords Mitt Romney an opportunity to associate with, criticize, and evaluate President Obama’s national security performance. More importantly, the debate provides Mitt Romney an opportunity to express his national security principles and objectives that he would apply over the next four years. U.S. foreign policy tends to confuse tactics with strategy. The key question is: how should foreign policy be adapted to the array of threats facing America? The National Strategy Forum Editorial Board proposes ten questions that moderator Bob Schieffer should ask the candidates on October 22nd. 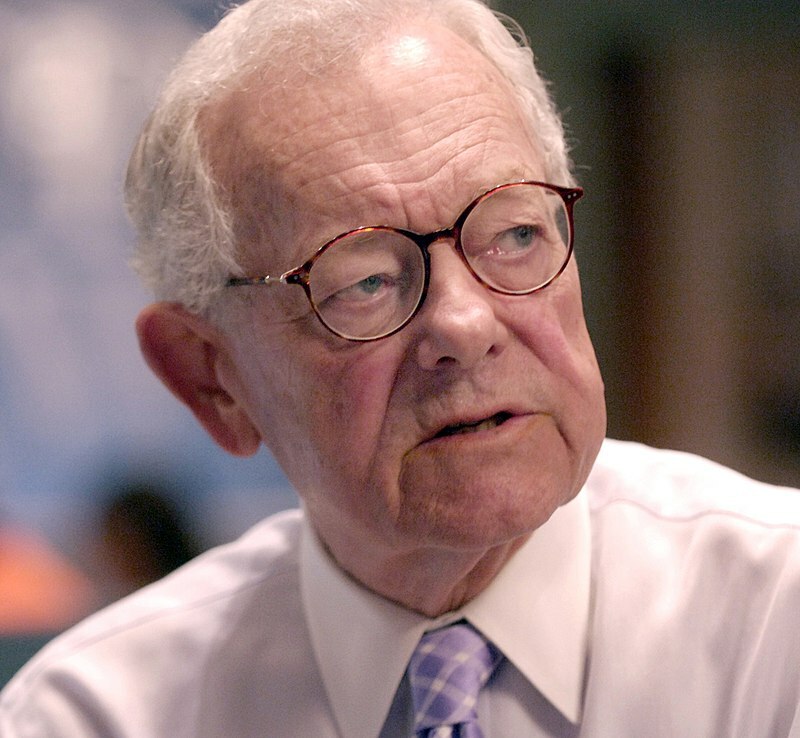 The NSF has a new piece on the Huffington Post titled, 10 Questions Bob Schieffer Should Ask Obama and Romney. 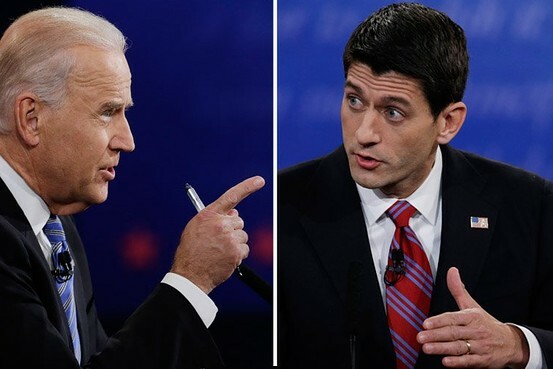 The article provides a primer for readers in anticipation of the final presidential debates on October 22nd. Will the candidates move beyond rote answers and convey their foreign policy vision for managing U.S. foreign relations at one of the most challenging times in U.S. history? The NSF has asked the right questions; let’s hope for clear answers. Iran’s progress towards a nuclear weapon requires three stages of development. First, Iran must enrich uranium from 20% up to greater than 90% purity. Second, Iran must develop a trigger mechanism to detonate a bomb. Third, Iran must have a delivery system for transporting the bomb, typically a long range missile system. To date, Iran has made significant progress towards enriching uranium, but progress on the missile system and trigger mechanism are believed to be not as advanced. The “red line” in this process is the point at which Iran’s nuclear program is on the verge of completing a nuclear bomb. Traditional views ascribe the “red line” as Iran’s ability to enrich uranium to weapons-grade level, because once this step occurs, the transition to a nuclear bomb is possible in a very short time period. For example, Israel’s Prime Minster, Benjamin Netanyahu, made a similar argument before the UN a few weeks ago—literally drawing a red line for Israeli military intervention at the 90% enrichment. 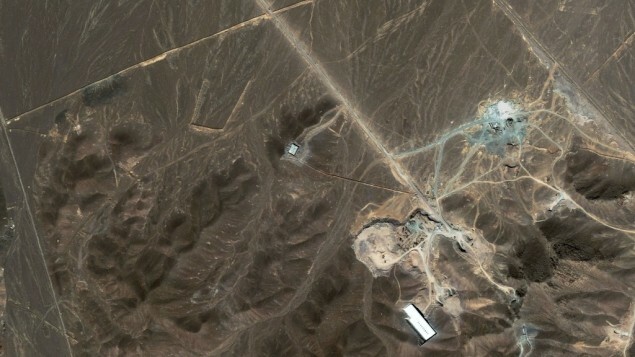 Iran’s rapid development of fissile nuclear material is a complex issue. The transition from conventional contemporary weapons to nuclear weapons has grave implications for the existence of the State of Israel; the potential for nuclear proliferation, including possession of a nuclear weapon by terrorist organizations; a severe oil shortage; and the degradation of the global ecosystem. “All options are on the table.” These six words often spoken by President Obama, presidential aspirant Mitt Romney, DoD Chiefs, and a litany Congressmen define the contemporary U.S. strategic postures towards an Iran seemingly intent on acquiring a nuclear weapon and upsetting global stability. However, few details are given as to what these words imply. The magnitude of the threat, qualified by the assurance that this is the U.S.’s most pressing national security threat since 9/11, gives rise to the following question: if all options are on the table, then what are they? This article outlines the various options that are most likely to be on the table and discusses the implications of each option. In commemoration of the bicentennial of the War of 1812, the National Strategy Forum hosted a panel discussion of the Ambassadors of the U.S. and Canada, and Rear Admirals from the U.S. Navy, the U.S. Coast Guard, and the Royal Canadian Navy. The broadcast, produced by the Pritzker Military Library in Chicago, and sponsored by the Canadian Consulate in Chicago, addresses the historical evolution of the US-Canada relationship following the War of 1812, and the contemporary security cooperation between the U.S. and Canada on the Great Lakes and internationally. Read Endy Zeminides’ latest piece, “Cyprus: Small Country, Big Presidency,” on the Huffington Post. Endy Zemenides is a member of the National Strategy Forum Review Editorial Board.